Tap-in to the experience of our team’s work across digital design, development and strategy. Plus we'll share our marketing tips & recommendations. We’re pleased to announce that as of today you can send and receive email with greater security than ever before. Read on to find out what this means for you and how to take advantage straight away. After several months of testing, we are now able to open up our improved email service to all our existing Web Hosting clients. This means that as of 13/02/2018 you can connect to our email servers using a secure https connection for our webmail service, and send & receive emails securely via your existing email client with TLS. Together these two factors make a huge improvement in how you access, read and send your emails. In short, the content of your emails is secure and can’t be intercepted and read by anyone other than the sender and receiver. In a traditional setting without TLS/SSL the process lacks steps 3 & 4, meaning that the conversation is sent without encryption. So, if your email is intercepted on the way to it’s intended recipient, it’s content could be read by this 3rd party. So TLS/SSL is a major improvement which we recommend you make use of straight away. Likewise, if you use our webmail service to view, send and receive your emails, we can’t stress how important it is to do so using our new https secured website. We’ll look at the details of how you can do this below. Our webmail service allows you to read, send and receive your emails online whether at home, work or wherever you are at any time of day. If you’ve used the service over the last few weeks you’ll have no doubt noticed that there have been several changes. The most obvious of these changes have been to the look and feel of the site. The new modern look providers a cleaner easier to use interface, alongside a number of out of sight optimisations and improvements, that simply make it a nicer and faster experience. In terms of security there is one very important change, the inclusion of https access. Why is this important? When a website uses HTTPS, it is using a secured socket layer (SSL) to help encrypt the data that is either being provided on the site or entered into the site. This encryption will keep your information safe so that it does not fall into the hands of a hacker. So, you can probably see just how important https & SSL is when accessing your email online via our webmail client or any other service. Now you know why TLS/SSL & HTTPS are important, and you’re hopefully keen to learn how to use it with your existing email client whether it be Thunderbird, Outlook, GMail, on your mobile phone, tablet, Windows or MacOS. Fortunately, it’s another fairly simple process to get this working, as we’ll show now. The first thing you’ll need to do is open up your email client, find your account settings page, and then edit the urls that are used to connect to both the outgoing (SMTP) and incoming (POP / IMAP) email account. At present you’ll be connecting using a url beginning with ‘mail.’ as described in the section above. Note that your username and password will remain the same, so do not change these as part of this process. But, it is usually a good idea to update your password every few months, to make it less likely that a hacker could correctly guess it. Alongside the details of the incoming and outgoing servers you should see a tick box or drop down list enabling you to mark the connection as using secure protocols / security. You should select this option for both the incoming and outgoing server. If there is an option for STARTTLS rather than TLS/SSL or simply TLS, you should check or select this. If you don’t have this option selecting TLS/SSL or ‘Secure connetion’ should work just as well. Some email clients will try and change the ports used when you select to use a secure connection. Where possible you should continue using the existing ports, so you may need to manually change these back if your email app does want to change them. If for some reason, you are unable to do this, don’t worry as the new ports should still work. 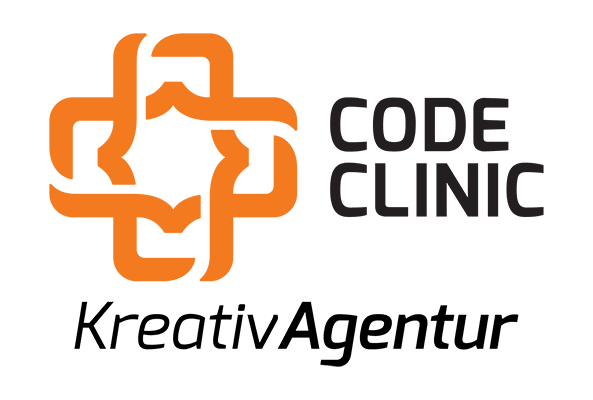 Using a secure connection whether via your browser and the Code Clinic KreativAgentur webmail site or using TLS on your mobile phone or desktop, is highly recommended. If you are using your email for business it may even be required by law. So, we’re really keen to encourage you and all our customers to use this new secure method of dealing with email. For the near future it’ll will be possible to use both secure and non-secure methods to make sure you have ample time to migrate. If you have questions or are still confused, give us a call or email us and we’ll be happy to help you setup all your devices properly with minimum fuss. Phill has been designing and developing websites since 1986 in the early days of the web. As a self taught teenager, he built one of the world’s first Internet radio stations. Since then, he's gained numerous qualifications and several awards for his work in the industry. As a result he has had the pleasure of working in agencies in Manchester & London UK, and now Bavaria, Germany.